At Goldilocks day nursery we plan activities for the individual child, using our knowledge of their interests and their learning styles to support them in their education. Our team will also carry out spontaneous activities throughout the day to help support children to achieve their next steps. Learning opportunities are provided throughout for all children.  These are the areas of learning that your child will be learning at goldilocks day nursery. Understanding: children follow instructions involving several ideas or actions. They answer ‘how and why’ questions about their experiences and in response to stories or events. Self -confidence and self- awareness: children are confident to try new activities , and say why they like some activities more than others. They are confident to speak in a familiar group, will talk about their ideas, and will choose the resources they need for their chosen activities. They say when they do or don’t need help. Managing feelings and behaviour: children talk about how they and others show feelings, talk about their own and others’ behaviour and its consequences , know that some behaviour is unacceptable. They work as part of a group or class, and understand and follow the rules. They adjust their behaviour to different situations, take changes of routine in their stride. Making relationships: children play co-operatively, taking turns with others. They take account of one another’s ideas about how to organise their activity. They show sensitivity to others’ needs and feelings, form positive relationships with adults and other children. Writing : children use their they also write some irregular common words. They write simple sentences which can be read by themselves and others. Some words are spelt correctly and others are phonetically plausible. Numbers : children count reliably with numbers from 1 to 20, place them in order and say which number is one or one less than a given number. Using quantities and objects, they add and subtract two single-digit numbers and count on or back to find the answer. They solve problems, including doubling, halving and sharing. Shape, space and measurements: children use everyday language to talk about size, weight, capacity, position, distance, time and money to compare quantities and objects and to solve problems. They recognise, create and describe patterns. They explore characteristics of everyday objects and shapes and use mathematical language to describe them. The world : children know about similarities and differences in relation to places, objects, materials and living things. They talk about the features of their own immediate environment and how environments might vary from one another. They make observations of animals and plants and explain why some things occur, and talk about changes.